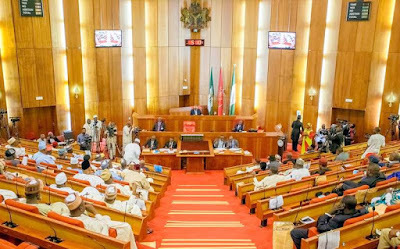 The Senate has rejected a motion to invite the Director General of the State Security Service, Lawan Daura, over the ongoing clampdown on alleged corrupt judges. A PDP Senator representing Gombe, Joshua Lidani who, in a motion brought as matter of urgent national importance, had motioned that the Senate invited Mr. Daura to explain why his agency has launched a clampdown on the nation’s judges in such a manner it did was instead demanded to consider the action of the DSS which led to the arrest of the seven judges on Saturday. He based his claim on the point that it is the constitutional responsibility of the National Judicial Council to see to the discipline of corrupt judges. The Senate Minority Leader, Godswill Akpabio supported the motion. However, most senators yelled “ayes” and later “nay” in a 50-50 proportion to the call for the support of Mr. Lidani’s motion by the Senate President, Bukola Saraki. The Senate President then ruled that the “nay-sayers” had it when their voices overshadowed those of the “ayes”.